#FIBAOQT: Senegal Men's Basketball Team Line-up (Roster) - Balita Boss! International Basketball Federation (FIBA), the governing body of Basketball, has officially released the final line-up of Senegal Men’s national basketball team for the 2016 FIBA Olympic Qualifying Tournament. 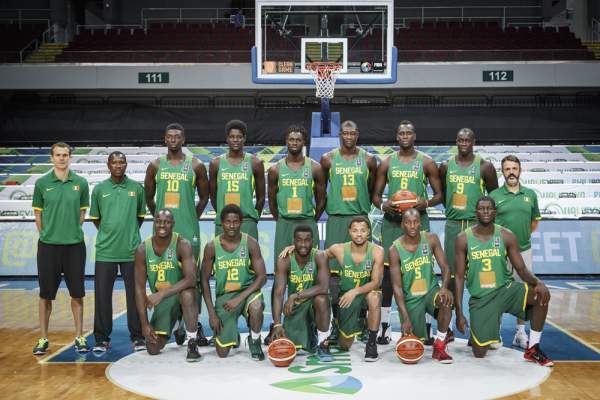 Senegal, ranked 31 in the world by FIBA, will play in Group A of the Rio Games qualifier tournament in Manila, Philippines, with round-robin games against Turkey and Canada. The Philippines, France and New Zealand will play in Group B. The top two teams from each group in the preliminary rounds will move on to the semifinal crossover games. Those teams will then compete in the finals, with the champion qualifying for 2016 Rio Olympics.